It is a given that if you are in a business, big or small, you are in it for making money for your product and services. And no matter what business you are in, having proper accounting and making use of financial solutions that handle common tasks like invoicing and billing are a necessity today. It becomes imperative to have a software or a system that will take care of your business needs to ensure that you get paid on time and doesn’t bog you down in the process. An online invoicing software that can handle the midnight process of sending invoices is your go-to for such a business need. As we have said time and again, the market has too many options today. Hence it is wise to do your research well. 1. 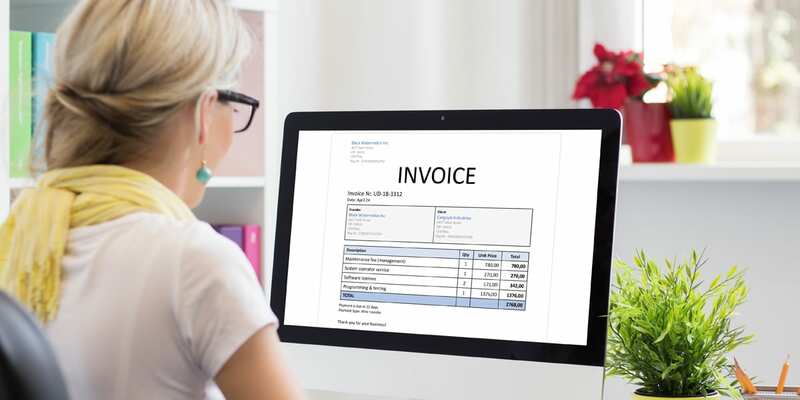 What invoicing features does my business need? Most invoicing platforms today come fitted with many features such as recurring payments, time tracking, expense tracking, automatic payment reminders, financial reports and more. So, the first question to ask is what are the most important ones that I would need for my business. Doing a good need assessment will give you the required answer to the above question. 2. Should I consider a customisable solution? After evaluating the platforms available, are you convinced that you have a ready solution that can offer you what you need? If not, then you must consider an invoicing platform that allows you to customise to your needs. 3. How much should I spend for one? For most small business, this is the most important question that arises. While you could work with the free platforms, they come with certain limitations. Other platforms could easily range from $15-50 per month, and they are easily scalable too as per the size of your business and your future growth. 4. Is the platform user-friendly? Whatever platform you choose, it is very important that the invoicing software is easy enough to use and set up. A good UI and simple workflow ensures that you not only save time in training, but it also is instantly adapted to by your in-house team members. 5. What are my disaster recovery and backup options? All good invoicing platforms come with automatic back up in the cloud. In the event of an outage, you can easily access your invoices remotely through any mobile device and enjoy uninterrupted working. Hence, this becomes an important question to ask yourself to ensure high productivity amongst your team members. 6. Is my customer data always secure? Even small businesses are prone to cyber attacks and we know that well now. With the new GDPR policy, it is imperative that you make your customer the topmost priority and have data protection in its place. Having your invoicing software with the right security in place is hence an important point to consider. 7. What does the after-sales support look like? Good invoicing software providers come with great after-sales support and managed service packages which will help you troubleshoot your problems when they occur. It is wise to consider working with providers who have this service and are available on phone or via email when needed. Talk to your employees: They are the ones who will use it and know what they exactly need to do their job well. Understand those needs and keep the list handy. Know your budget: Make your life easy by knowing your exact spend for this platform. It will help you immensely in filtering out your options. Conduct small research: Check out software comparison sites and look at what other users are saying about that platform. Shortlist the ones you like at this time. Request a demo: Learn more from the software provider’s website and request for a demo. You can also ask questions related to your niche during the demo. Also look out for videos of the application, if available. Sign up for a free trial: Always take a trial before purchasing any online platform. Enter dummy data related to your business and check the workflow and ease of use. Look at how the final reports look. Know this – the process is not easy to find that dream platform. It may happen that you may get stuck with a wrong platform and migrating to another may then be a long-drawn process. It hence makes business sense to do the homework well before the purchase. Ask the right questions; consider the pointers above. At Quiddity, we believe in helping our customers make the right decisions for their business. We help our prospects understand the features of Quiddity well to know what they can expect and demonstrate how Quiddity can make the entire invoicing process a dream. Your quest for an online invoicing platform could potentially end with making an investment in Quiddity. Call us to know more! Brendan works as a Product Manager at Quiddity, an amazing workflow and customer relationship management tool for small businesses. He has a passion for design and problem solving and loves to share knowledge and collaborate with others. Quiddity is a Latin term for the inherent nature or essence of someone or something. Yes, the essence that is your business, simple beautiful workflow. That's Quiddity. © 2019 Quiddity. All rights reserved. recent articles and upcoming events.